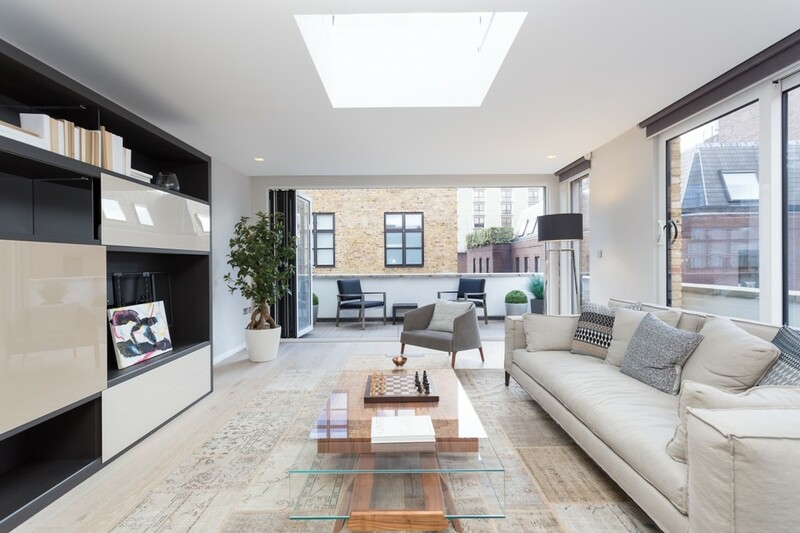 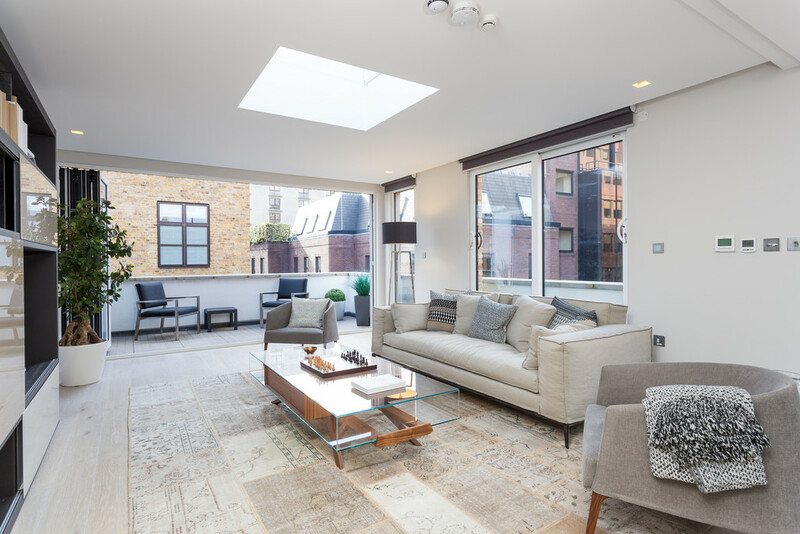 Occupying the top two floors of a sympathetically refurbished former warehouse in the heart of London’s Theatreland, this fantastic three bedroom penthouse apartment offers bright & airy contemporary accommodation in an enviable location between the City & West End. 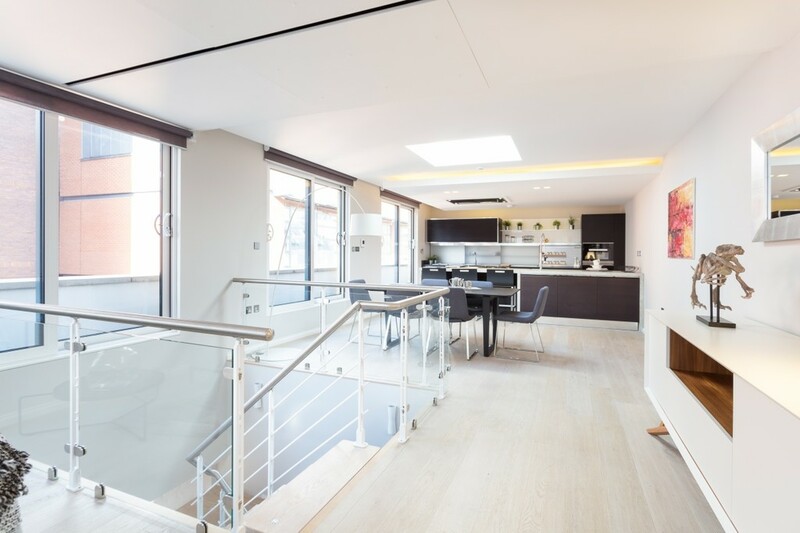 Developed in recent years to an exceptional standard and featuring direct lift access to the lower level, the apartment offers well-proportioned accommodation including a generous top floor lateral living space flooded with natural light from the numerous floor to ceiling windows & doors that open on to a private South West facing roof terrace. 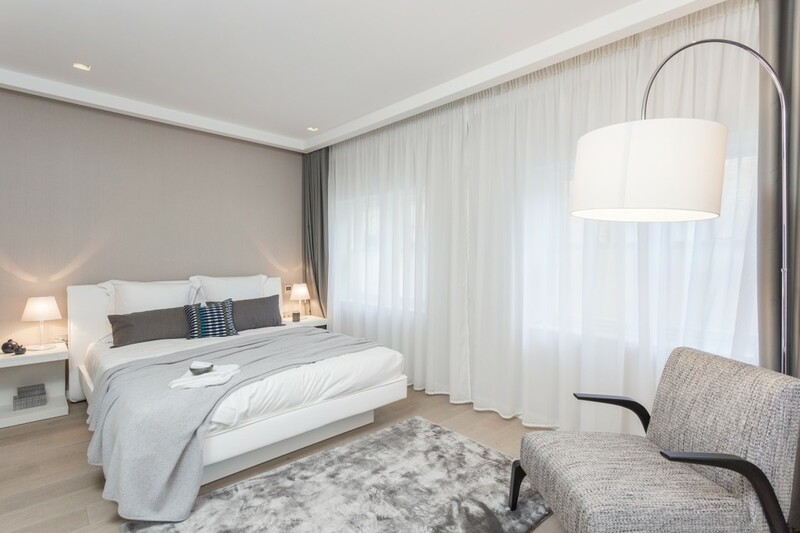 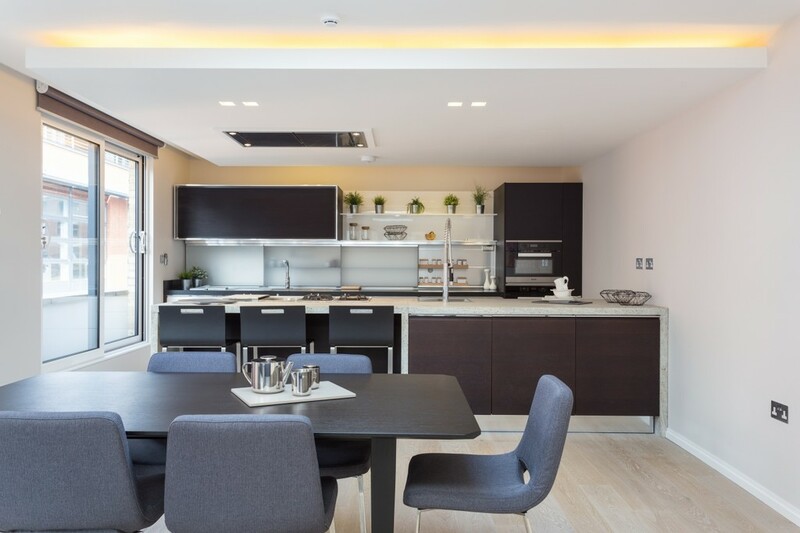 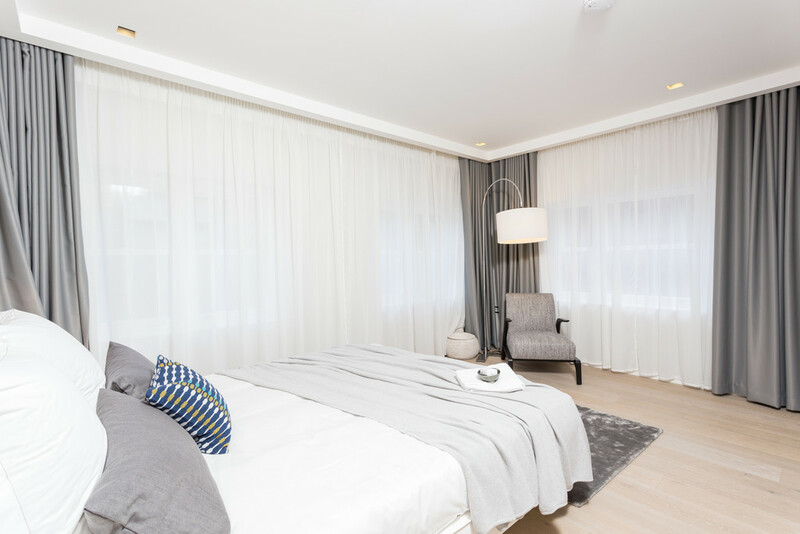 The high specification includes a contemporary kitchen from Molteni & Dada, luxurious bathrooms and bespoke Italian fitted wardrobes, along with underfloor heating, comfort cooling and remote control electrically operated blinds. 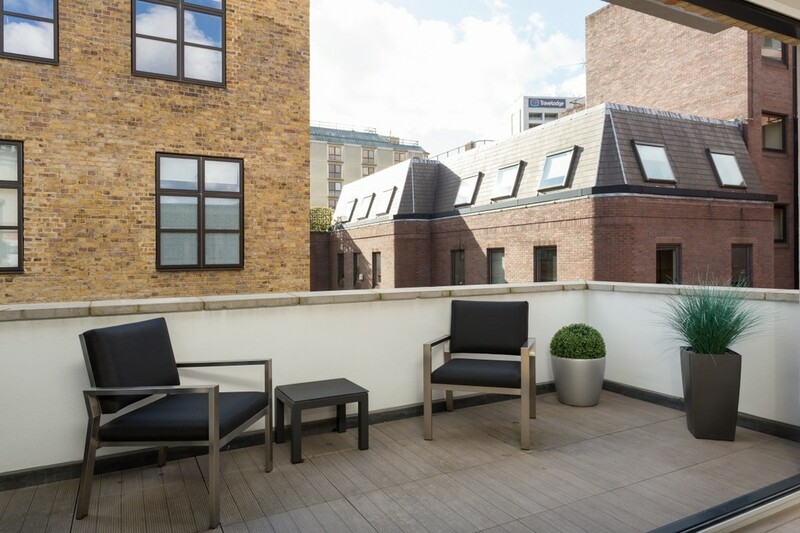 Situated on the lower (third) floor with its generous ceiling heights are two bedroom suites of approximately equal size, both with en-suite bathrooms, plus a third bedroom/study and separate guest WC. 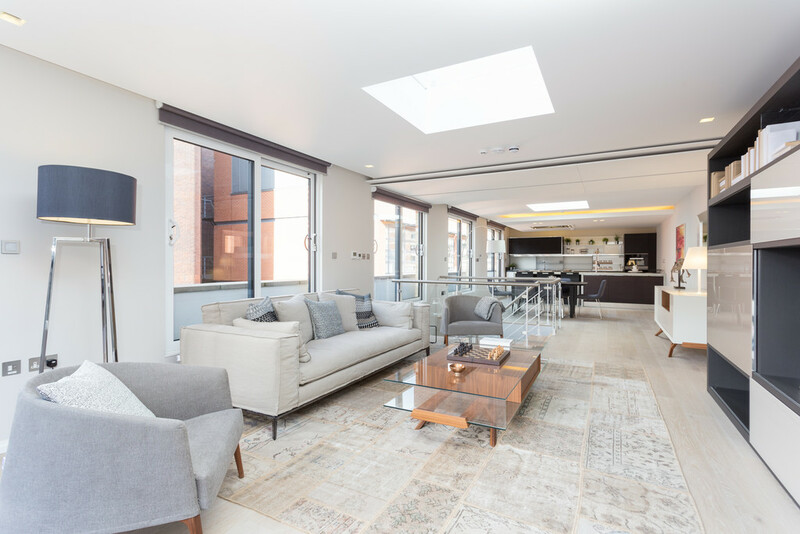 The direct lift access opens in to a pleasant entrance hall with a beautiful timber & metal open-tread contemporary staircase surrounded by characterful brickwork affording access to both the upper floor and private entrance lower down on the second floor.